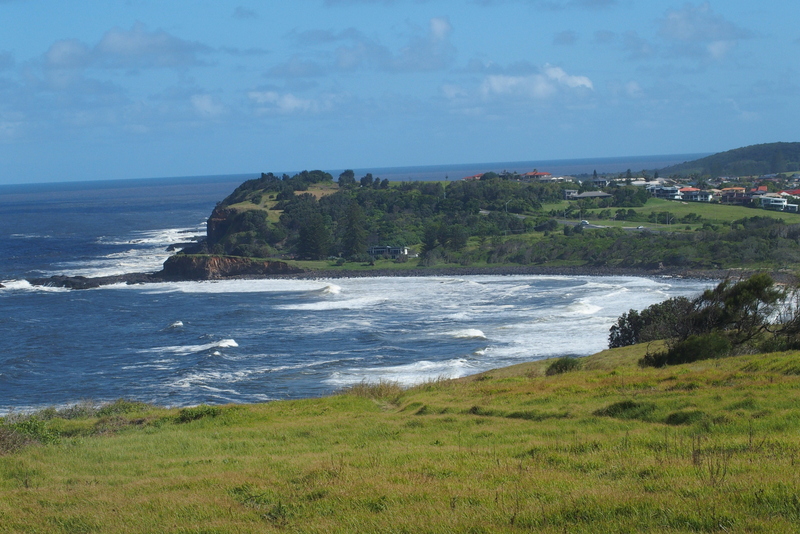 The Pacific Coast drive from Sydney to Brisbane is legen–wait for it–dary. Beaches, national parks, and woodlands are outstanding. We also stopped at non-beach points of interest. 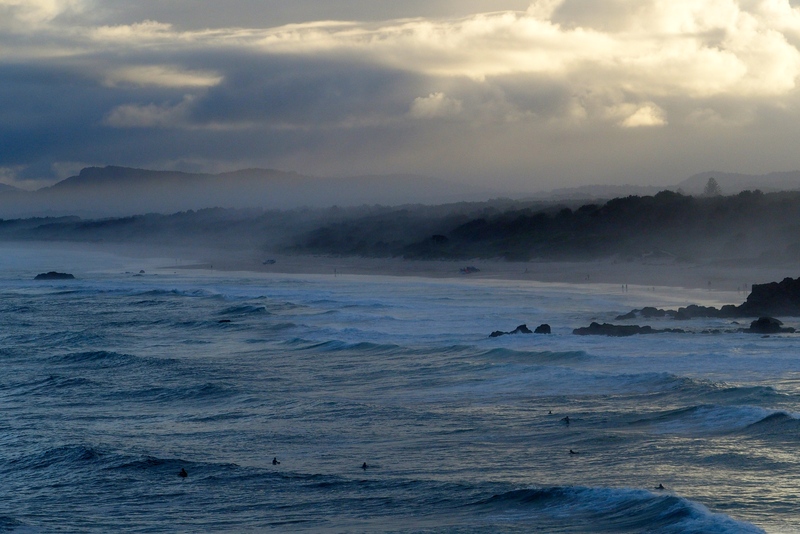 The Australian shoreline is of course beautiful, but also treacherous. Interestingly, the lighthouses here seem to be slightly short and squatty (not a bad thing) compared to those in the US. They still get the job done, providing navigation support over the decades to keep ships from coming aground. 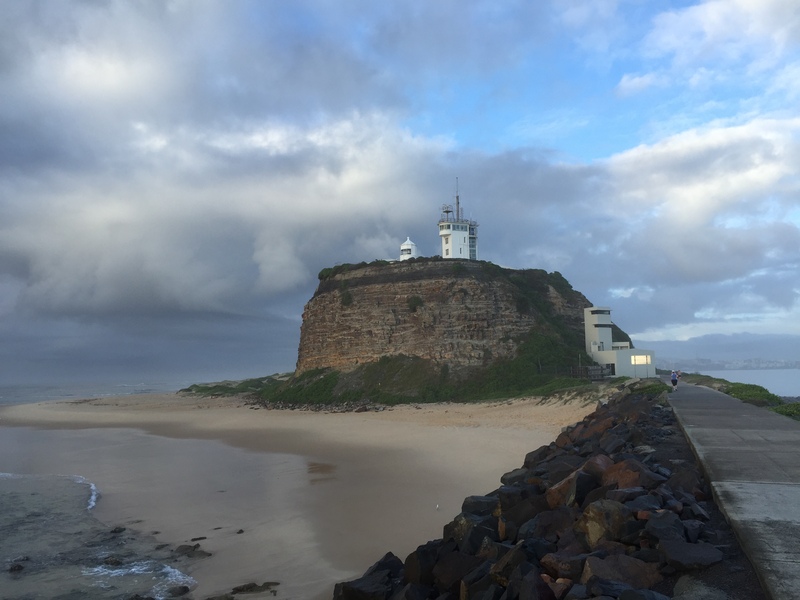 First up the coast is Newcastle, not touted as a Pacific Coast beauty spot, but interesting. We had heard the expression “bringing coals to Newcastle,” referring to the abundance of coal in Newcastle, ENGLAND. Apparently, Newcastle, Australia is rich in coal too. In fact, it’s one of the largest coal exporting ports in the world. 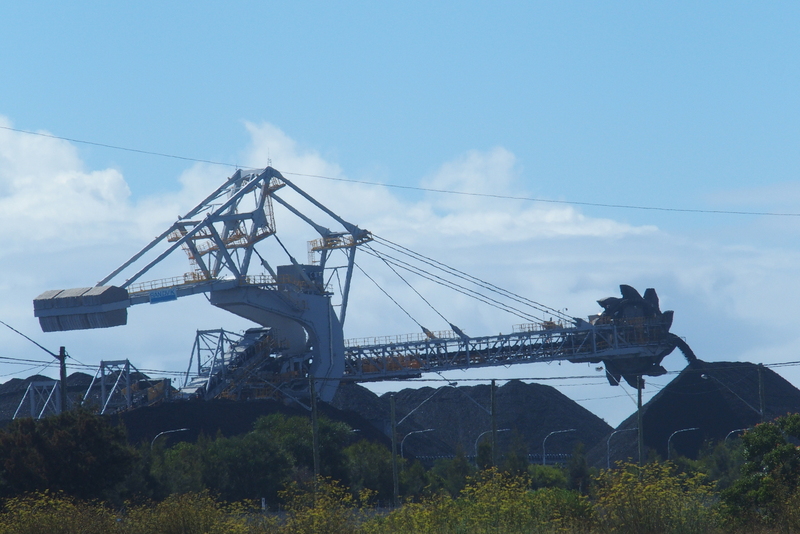 Lots of these coal conveyors and massive coal piles in Newcastle. North of Newcastle are, you guessed it, beaches! 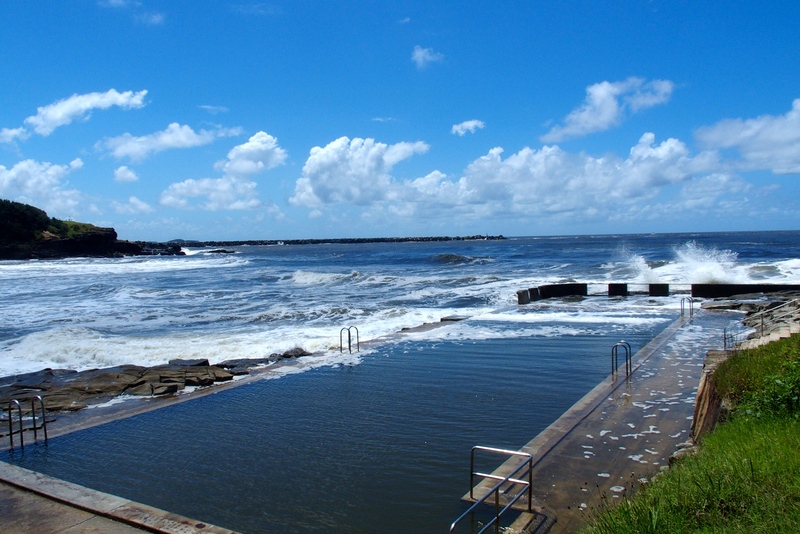 The protected swimming area at Newcastle Beach. Lovely! No sharks or jelly fish. Just south of Port Macquarie, looking south. South of Port Macquarie looking north. 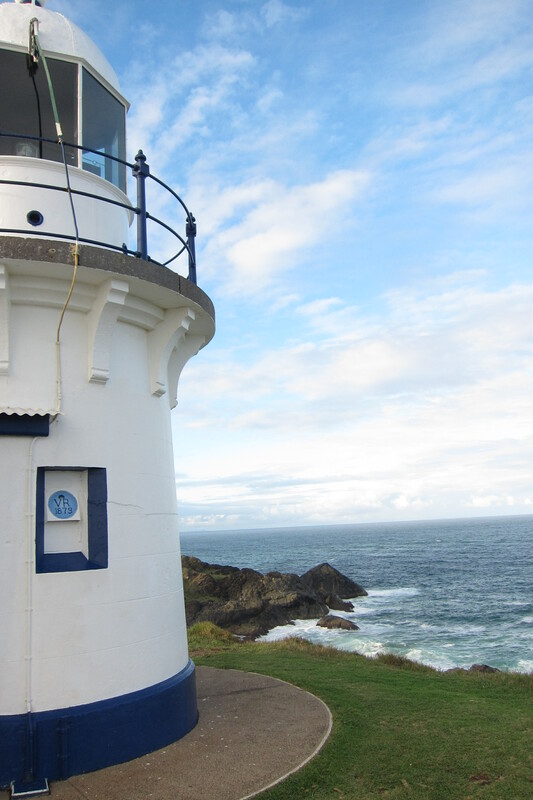 The point south of Port Macquarie had another lighthouse, one of five built in the 1800s after a number of shipwrecks on the rocks. Tacking Point light, one of the oldest in Australia, built in 1879. With rough surf and clouds limiting visibility, it’s easy to see why ships need the lighthouses to avoid crashing into the rocky shoreline. Looking from Tacking Point lighthouse back to the beach in the photos above. “Weather” moving in. 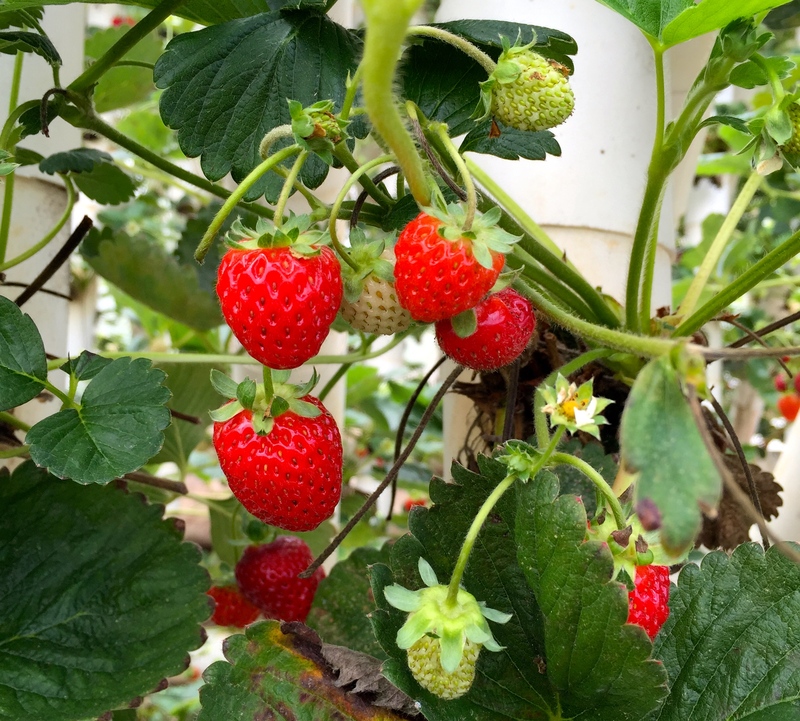 It grew overcast so we made a stop to do some gardening with U-pick strawberries. This is like picking strawberries in August. Such a treat! Great flavor. 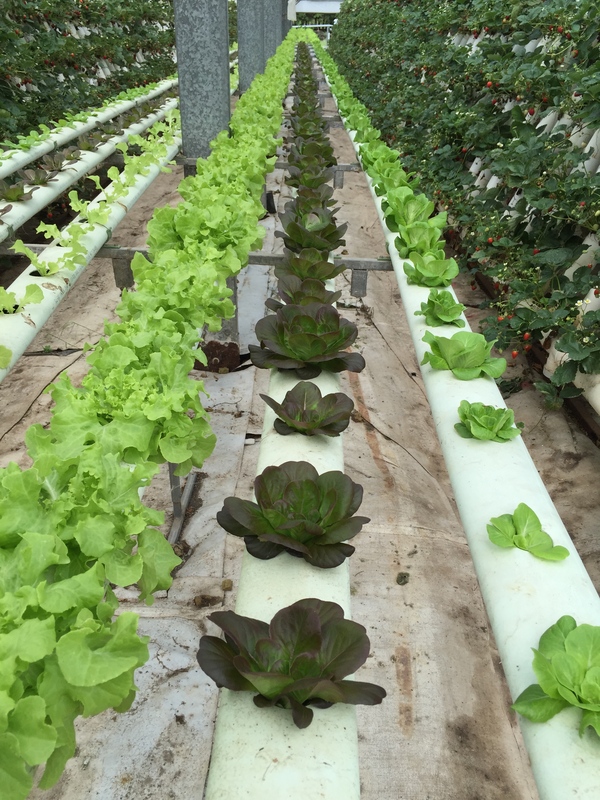 These are from a huge hydroponic farm, Ricardoes, just north of Port Macquarie. Why aren’t there more of these in the US (or just one near Keuka Lake)? 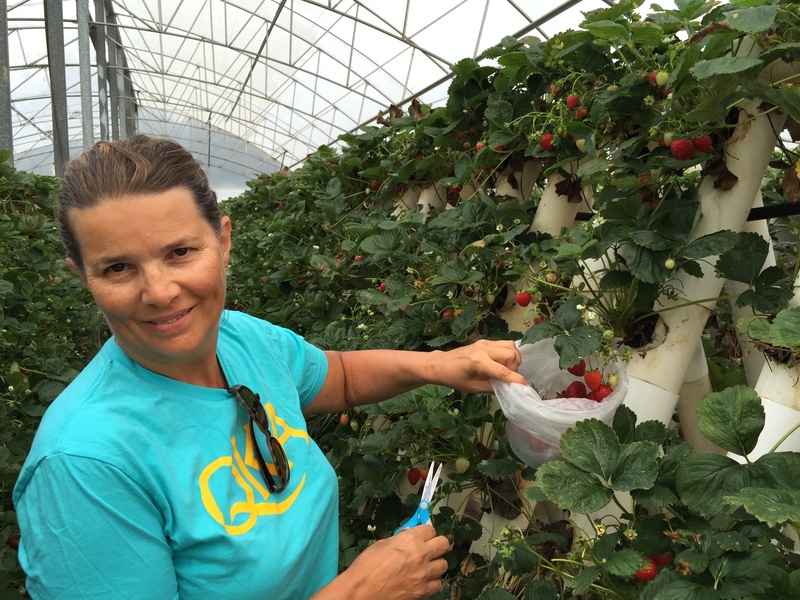 It sure beats getting on your knees to pick strawberries from the ground. Lettuce too. And tomatoes. So easy to pick a bucketful. $1.50 a head. Couldn’t be fresher! 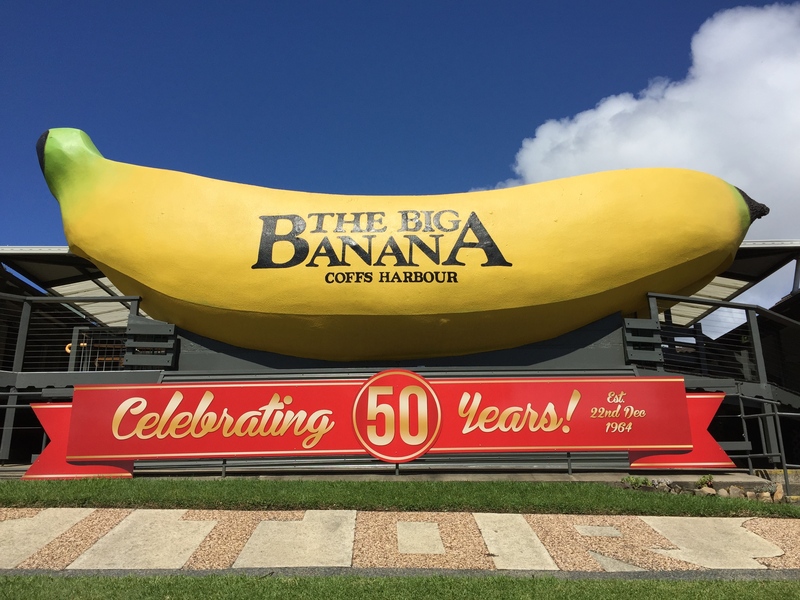 The Big Banana is a roadside icon, located in Coffs Harbour. One of the first biggies. The banana farmer, John Landi, put it up in 1964 to promote his banana business and people loved it. Now it’s a huge draw complete with water park, ice skating, toboggan run, 36-hole mini-golf course, and banana cafe. It’s one of the 150+ “Big Things” that Australians are so proud of. There is even a book about these. Craig Scutt and Scott Forbes traveled across the country to photograph these items. Tough job, but someone had to do it. 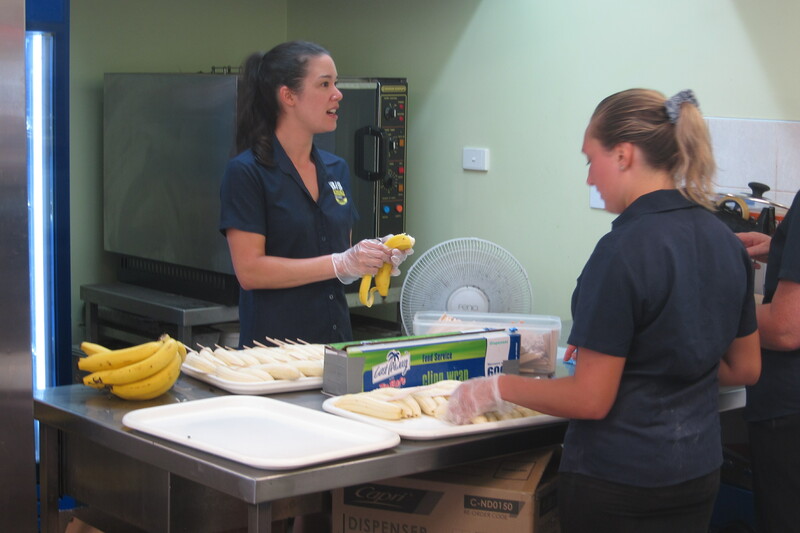 Cafe workers prepping Big Banana frozen banana treats. Imagine doing this for hours a day. 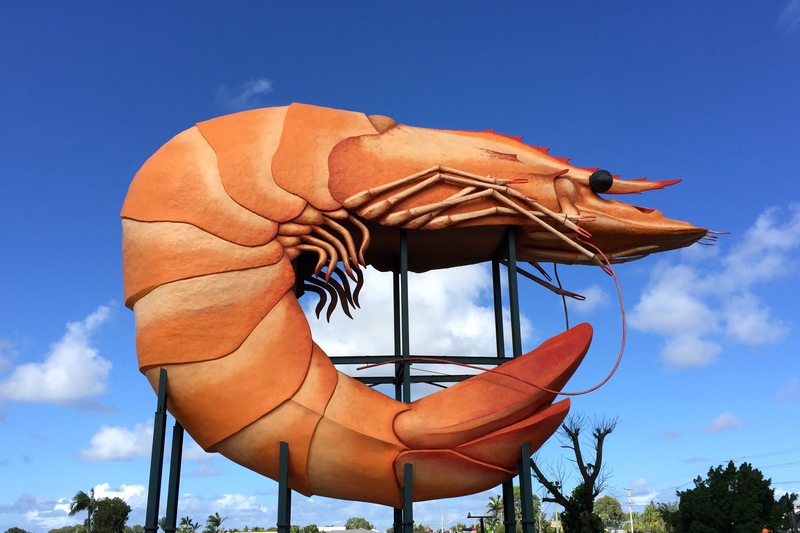 The Big Prawn weighs 38 tons. 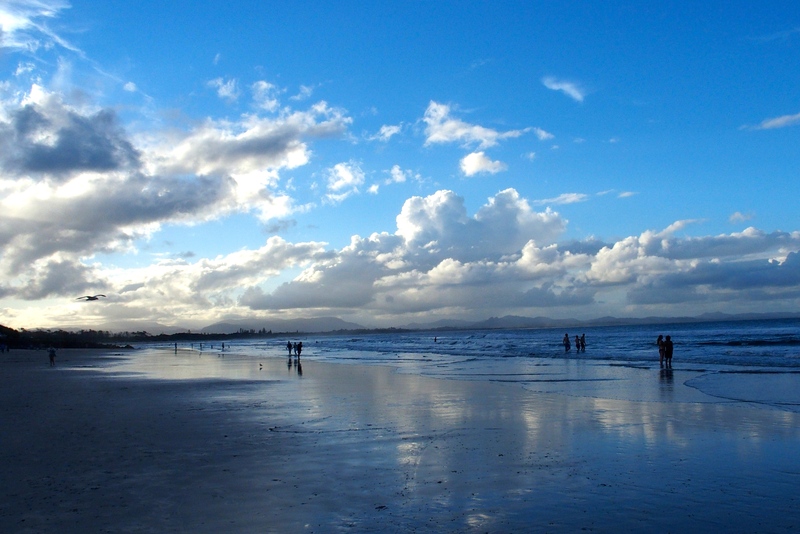 Byron Bay, with water temperature in the high 60s. 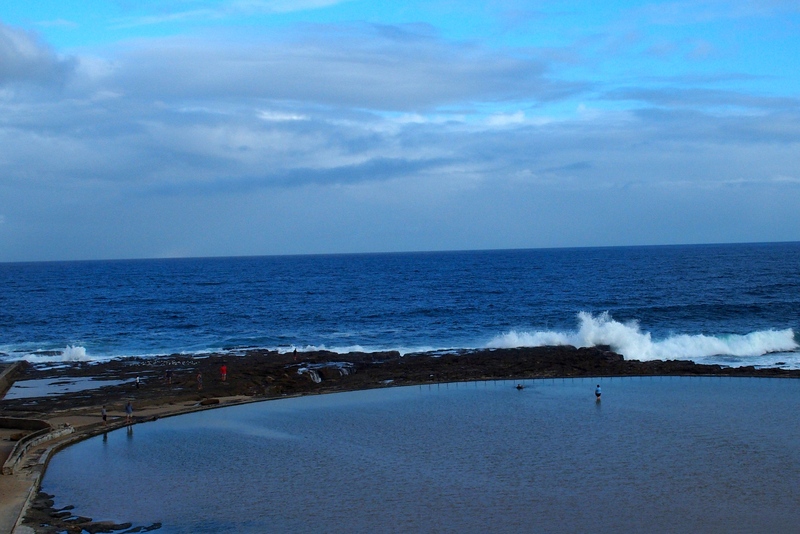 And another one of the oceanside pools we’ve come to love. Yamba. Doesn’t it look inviting? To be honest, we’ve seen so many beaches, it’s hard to keep track of them by name. Our best clue to the location is the timestamp order on the photos. On to Surfers Paradise. Yes, there really is a town with that name! 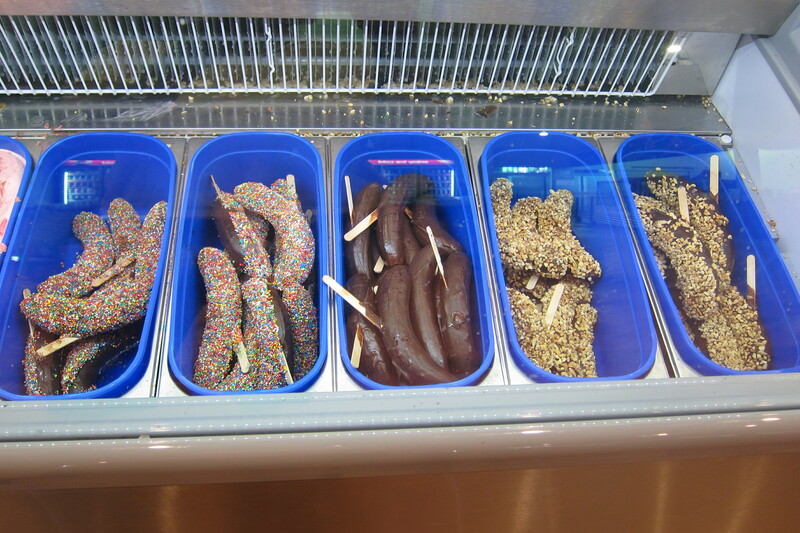 This entry was posted in Travel Journal and tagged Australia, Big Banana, Big Prawn, big things, Gold Coast, Sydney to Brisbane. Bookmark the permalink.